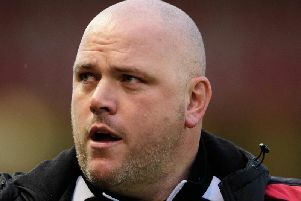 Shrimps boss Jim Bentley bemoaned errors at both ends of the pitch in their 4-0 defeat at Swindon Town on Saturday. 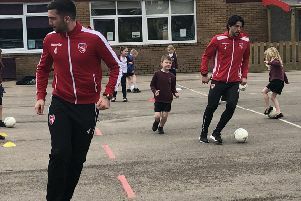 Having travelled to the County Ground on the back of four wins and a draw in seven matches, Morecambe suffered an emphatic defeat. However, Bentley felt the one-sided scoreline did not tell the full story of the 90 minutes. He said: “We didn’t defend well enough; we’ve got to do better coming up against a good side. “We’ve done our homework on them with regards to how they play. “They are a good footballing side; they are expansive, they do take chances and we knew, coming away from home, we’d have to be disciplined with our shape. “We’d hit them on the counter-attacks with set plays and crosses into the box another thing. “They got on top possession-wise and then, suddenly, we had the best chance. “Aaron Collins goes through and all he has to do is slip to Aaron Wildig and he’s clean through on goal but he took the shot; then we have another chance where Aaron Collins goes through one-on-one with the keeper. “Defensively we were poor; we were rocked a little bit with Ritchie Sutton, who has been doing well for us, dropping out. “At one end, we weren’t good enough with regards to the goals conceded, and at the other end, we weren’t good enough with the chances that came our way but the keeper pulled off a couple of great saves. “All in all, I’m disappointed that we’ve lost the game, the manner in which we’ve lost the game and the four goals. “We have to take it on the chin; they are a good side, they are good at what they do and that’s how they got the goals with pass and move football. “We could have hurt them at the other end but we didn’t take our chances and make the right decisions. “In the defensive third we were too easy to score against; we got what we deserved but we could do better than we showed today. “They could have scored than they did and, on another day, we could have had two or three. We’re away from home against a very good passing side and you aren’t going to get many teams who handle the ball as well as they did – as well as the pace they have in their side. They are very quick players, the full-backs bomb on and they play high and wide.